Players take shots from the point. 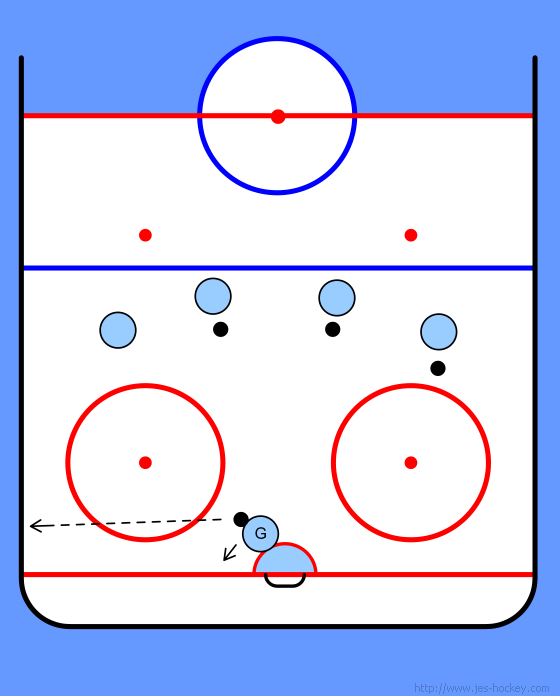 The goalie must stay positioned on all rebounds until they hit the boards or stop. 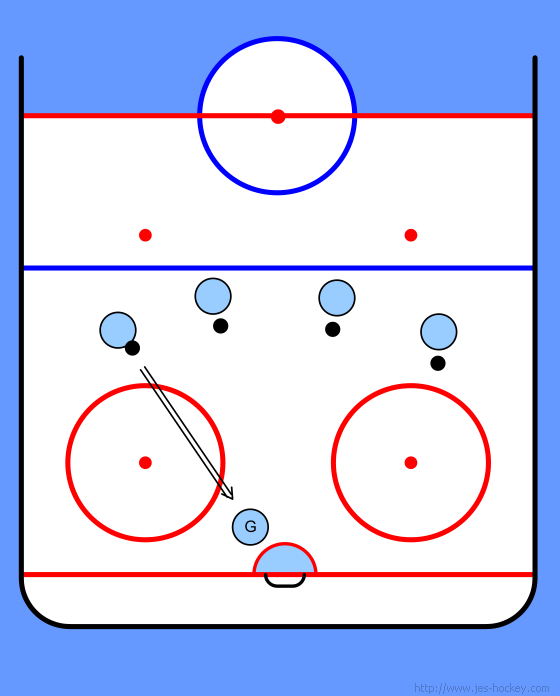 Shooters must wait until the goalie is squared back to them to shoot. After the blocked shot the goalie follows the shot. When the goalie is squared back the next player shoots.